Cabinet Hardware, Appliance Pulls, Bath Hardware, House Numbers and Switchplate Covers. 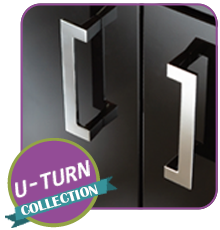 With over 1,500 cabinet knobs, handles and pulls in a variety of sizes, styles and finishes. Atlas Homewares decorative kitchen cabinet knobs, handles & pulls are available in stainless steel, brushed, nickel, antique brass, pewter, oil rubbed bronze, matt, polished, and chrome finishes. Style selection includes: modern, traditional, arts & crafts, funky and more.